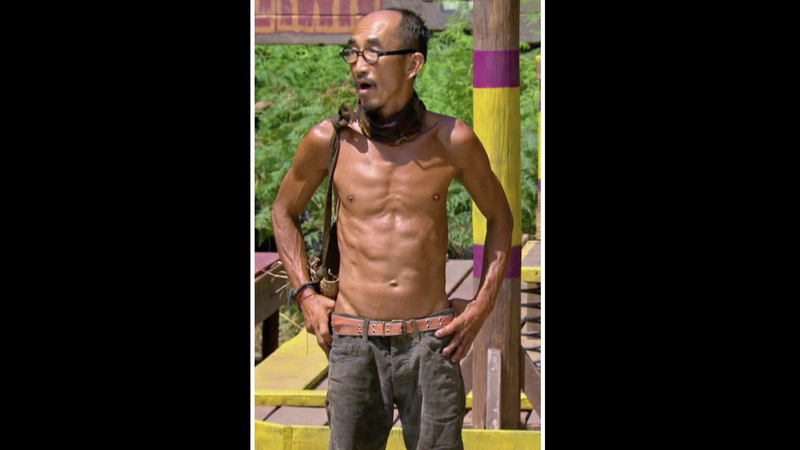 Spending nearly 40 days on Survivor can sure take its toll on the competing castaways' minds, bodies, and spirits. With more than a month without much food, shade from the sun, or rest between challenges, it's no wonder these individuals left the competition looking far different than how they first entered. For example, take a look at Tai, original Beauty Tribe member and Final 3 player. Toward the end of his Kaoh Rong run, he could barely keep his pants up because he lost such a large amount of weight on his already small frame. It's no wonder when he arrived on the red carpet after Survivor's Live Reunion Show, he got lots of attention for his fresh and much livelier look. Watch the full season finale of Survivor: Kaoh Rong now on CBS!